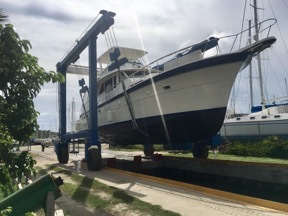 It has been a wild ride since Hurricane Irma took our beloved McGregor II in Sept. of 2017!! 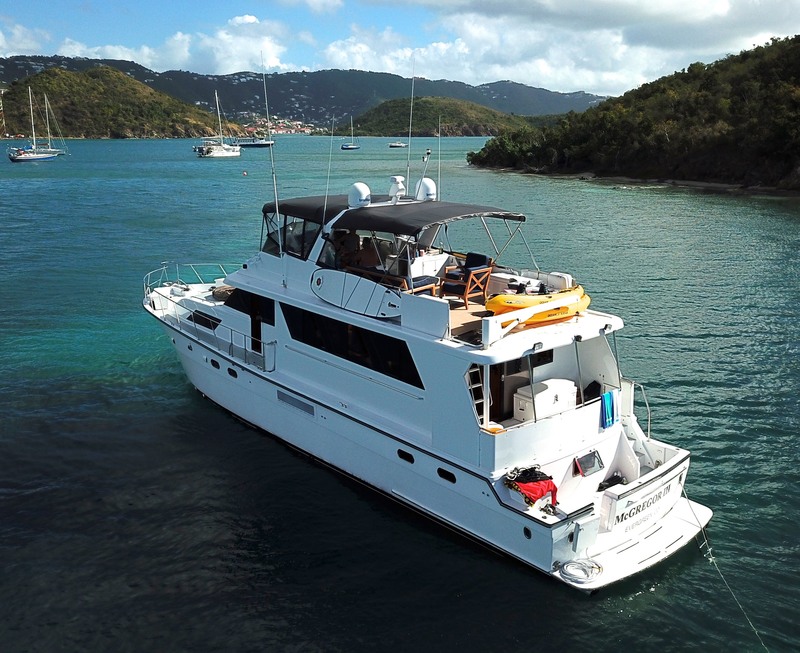 Last season we worked on an 83’ Ferretti based in the Virgin Islands. We then took a summer job on a private yacht, a 103’ Broward. 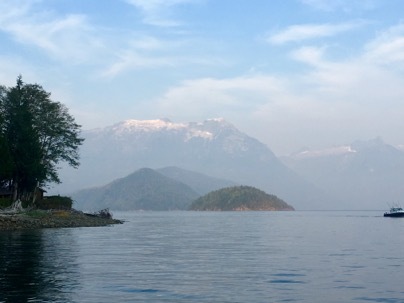 It was based out of Vancouver Island and we cruised the Inside Passage until August. October found us back in Ft Lauderdale, where we are happy to say that we found our new boat, McGregor III. 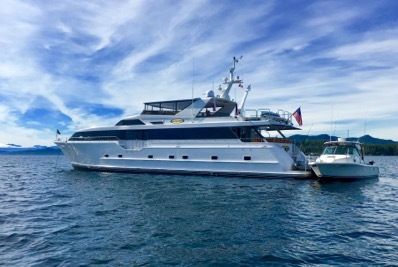 She is a beautiful 2001 60’ Jefferson Motor Yacht and is layed out very similar to Greggie. 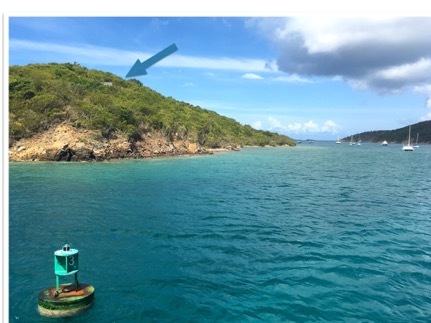 we are back in St Thomas, living once again on our mooring off Water Island. Needless to say, it is GREAT to be back!!! We had a little bit of time off this February, so we scheduled the last remaining requirement to complete our MCA compliance....... the ever dreaded Stability test. 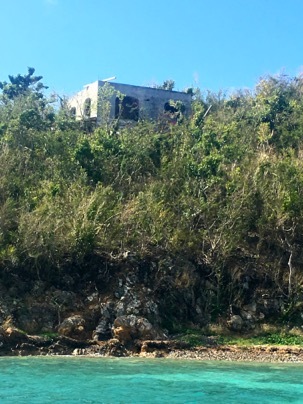 Down in the BVI, you have to book a reservation at Nanny Cay Marina, where they expect your boat to fit into the tiniest slip one could ever imagine. 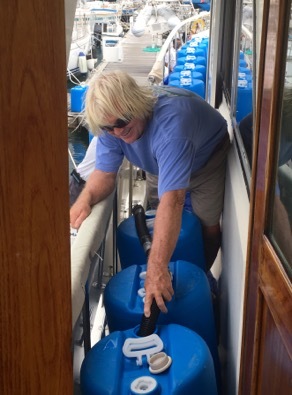 When you are settled in, they bring these big blue barrel jugs that they are going to put on your boat and fill with water. Once filled up, they check on how much your boat lists (tilts) to the side. As we were beginning to put the barrels in place, the main surveyor showed up and with a smirk said, "This is clearly a waste of time! How much does your boat weigh?" When I told him, "45 tons", he assured us that McGregor II will no doubt pass with ease. So, we began filling the barrels with seawater, 11 in all and waited for Greggie to start to lean….Well, there was not much leaning going on. The exact measurement was 0.47, not even 1%. McGregor is a strong, well built vessel and did indeed pass with no problem. That being done, the surveyors submitted their report to Her Royal Majesty's Shipping Registrar and we were issued our completed MCA certificate. 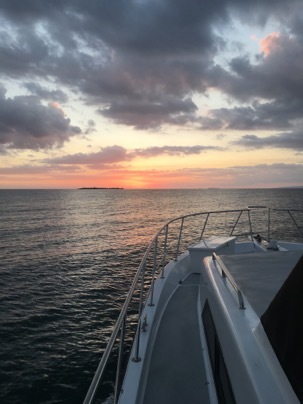 Needless to say, we are very glad to have that behind us and our guests can be assured that we have met all current standards for safety and yachting requirements. 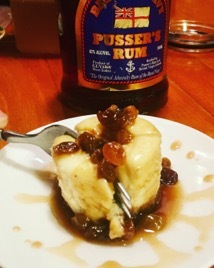 One of our guests last week has Celiac Disease…No problem, Thanks Pusser's Rum!! Combine ginger snap crumbs, sugar and butter; press onto bottoms of 18 paper-lined muffin cups and bake for 8 minutes. Beat cream cheese, vanilla and sugar with mixer until blended. Add eggs, 1 at a time, mixing on low speed, until blended in. Spoon over crusts. Bake 25 to 30 min. or until centers are almost set. Cool completely. Refrigerate 2 hours. Combine the raisins and rum in a bowl and let soak for 30 minutes. Just prior to serving, melt the butter in a small saucepan and stir in the brown sugar. Bring to a boil, whisking until smooth. Add the rum and raisins and boil until thick. For smaller desserts, I use an individual cheese cake pan...very similar to a muffin pan but has removable bottoms. You can use a muffin pan in its place, but be sure to use liners for easier removal. 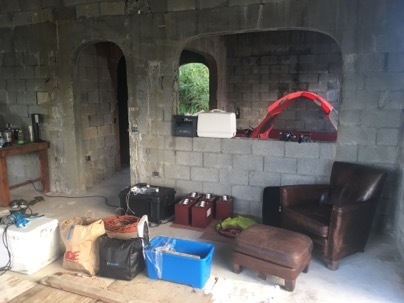 Guests always wonder what it takes to get ready for the boating season. 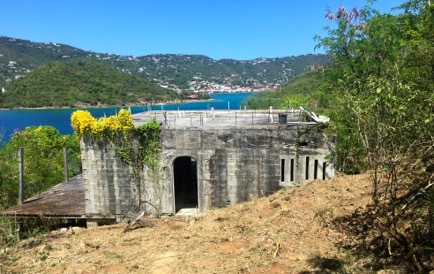 Every October, we head back to Virgin Gorda Yacht Harbor where McGregor has been hauled out for the summer. 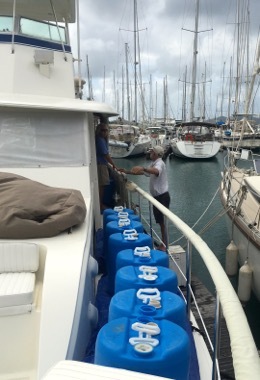 We spend several weeks doing maintenance and various jobs that our charter guests rarely see. This year, after some research with our good friends at Sam's Marine and combing the Hatteras Tech Talk forum, we tackled a big project. Taking apart our 8" diameter exhaust risers, reinforcing a few of their fittings, and replacing all the hoses was a bigger job than we expected! We also drilled a 3 3/4" hole in the bottom of the boat (YIKES) so we could install a transducer for our new Garmin GPSMAP 741xs. Not only is it a chart plotter, GPS, and fish finder, but we can now tell our guests some very important information - The Temperature of the Water…which, has been a balmy 82 degrees. Next up on the project list was to take out the old fiberglass battery boxes, replace the floor with a new sheet of 3/4" marine plywood and fiberglass it in. The finishing touch was installing new heavy duty Todd Marine battery boxes. Some yearly maintenance includes sanding McGregor's bottom and laying a fresh new coat of bottom paint. As if that's not enough, Captain Tim gets his workout in by waxing the hull and cabin top. It is always an exciting, yet anxious day when the 100 ton Travel Lift comes to pick us up and carry us to the yacht basin….Back in the water, where McGregor II belongs!